McCain and Dole: Two birds of feather? Sen. John McCain, right, joined former Sen. Bob Dole on the campaign trail when Dole ran for president in 1996. 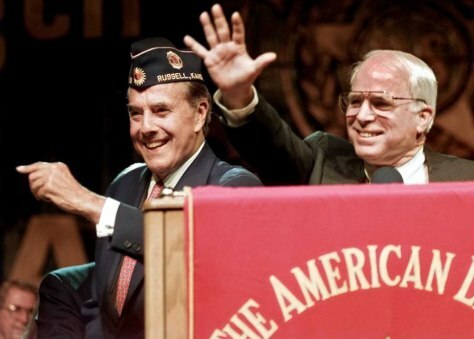 Here, McCain is seen introducing Dole at the American Legion's annual convention in Salt Lake City.